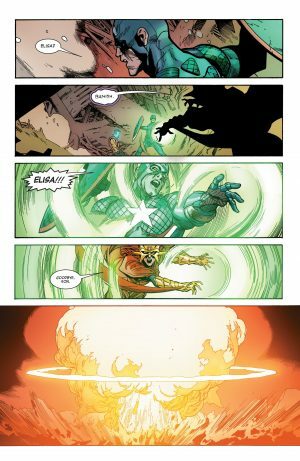 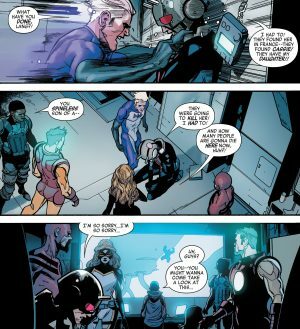 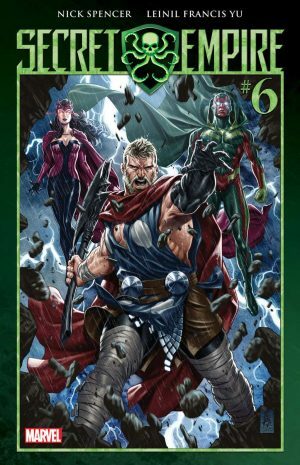 Marvel Comics Legacy and Secret Empire Spoilers for Secret Empire #6 follows. 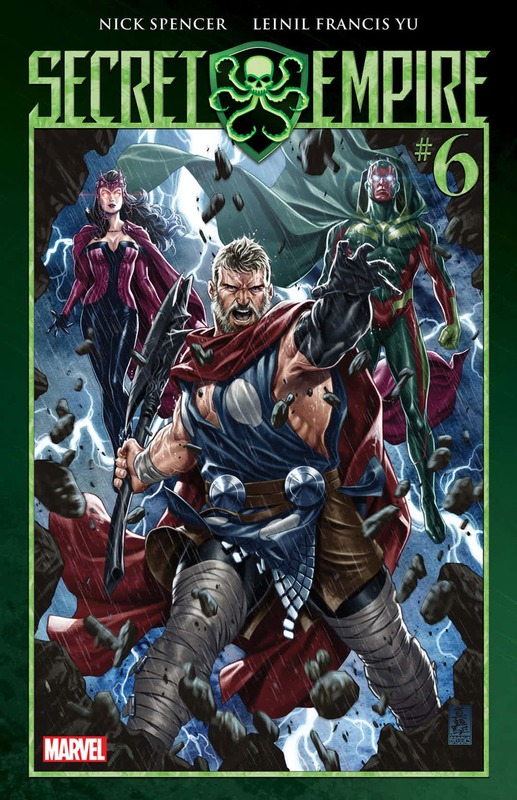 Secret Empire #6 came out last week and Secret Empire #7 comes out this week. 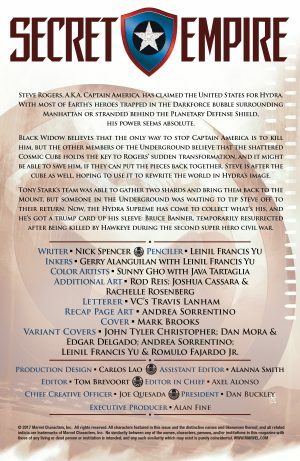 Marvel is committed to ensuring this event mini-series ships quickly; a good change in editorial direction I would think. 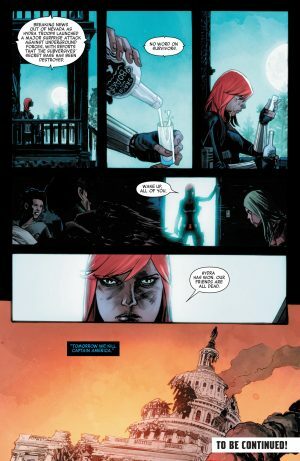 We open in the mystery place where a bearded Steve Rogers is along with the Red Skull; one thought to be dead in the real world and one a traitor. 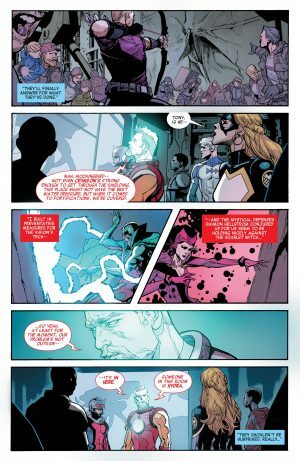 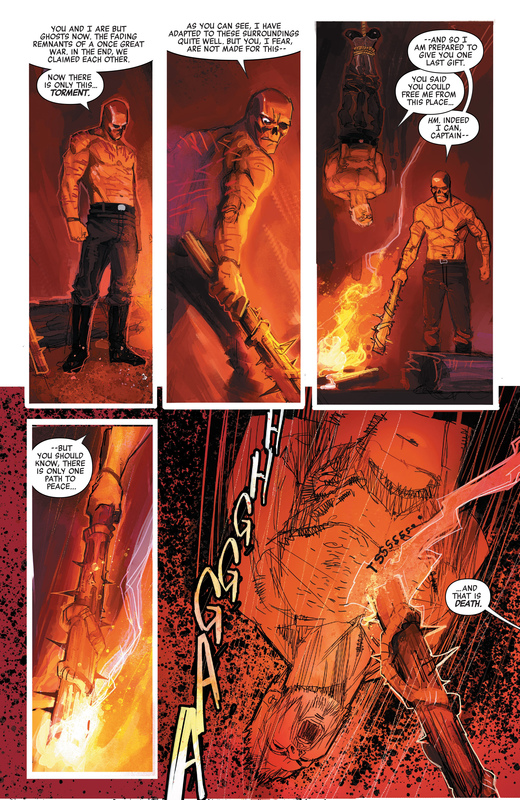 This isn’t hell, but from Marvel’s Legacy teases this is the Vanishing Point that will play a big deal in Legacy and Captain America’s redemption; none of this is revealed on the page, but has been mentioned by Marvel execs and creative when asking for patience from readers to see this Hydra Cap story reach its conclusion. 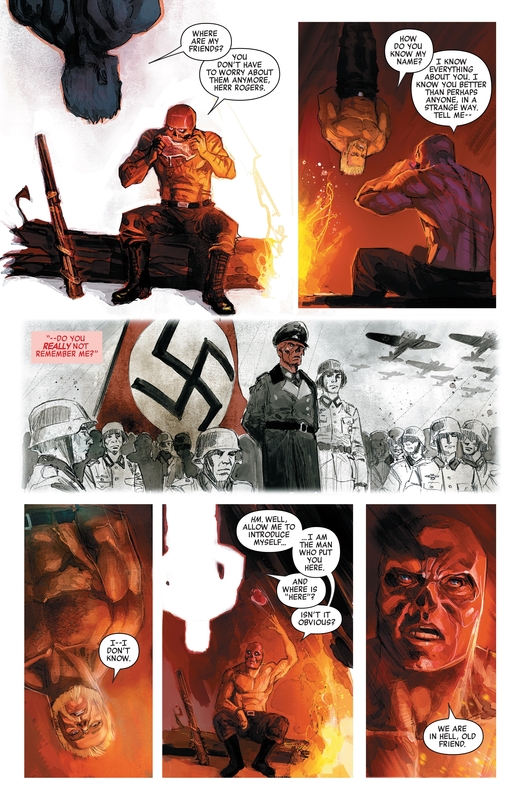 Interestingly the Red Skull wants to help Steve Rogers out of this hell of Vanishing Point, but it will be a painful exit on the road back to becoming the real Captain America perhaps? 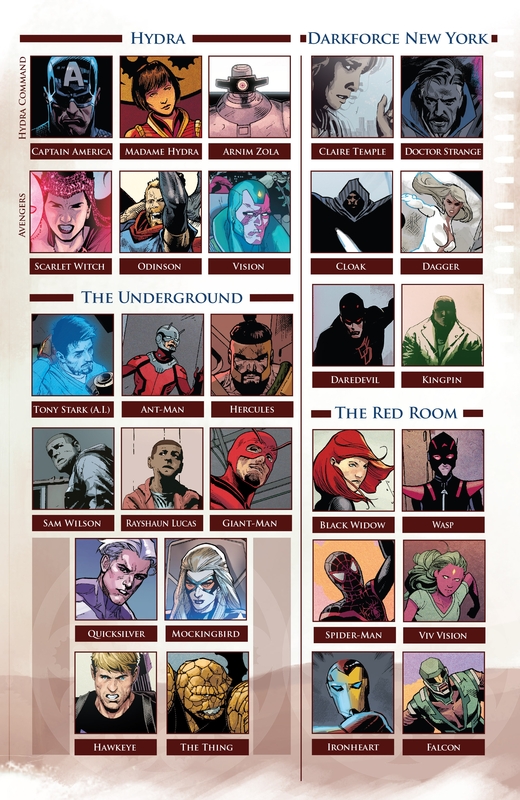 The book also sets up or foreshadow the post Secret Empire and Marvel Legacy New York City status quo? 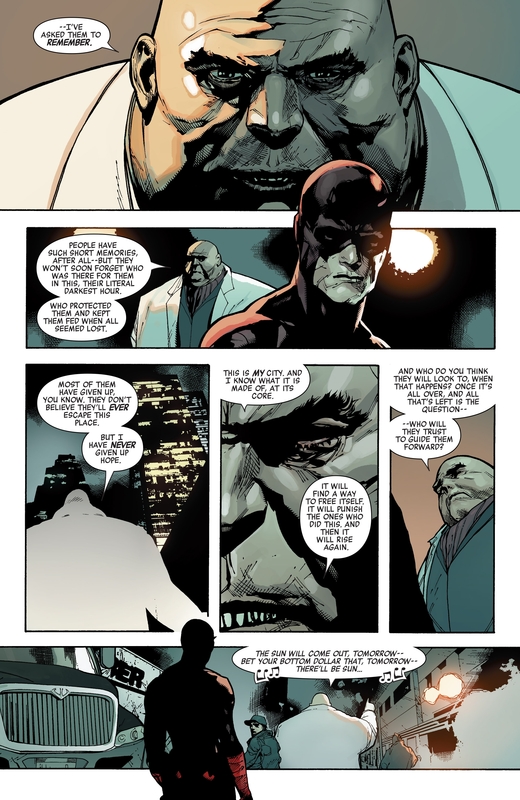 The Kingpin, Wilson Fisk, for mayor? From villain to anti-hero or even hero? 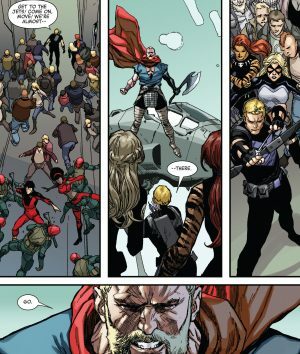 Elsewhere, the Unworthy Thor, the Odinson, having teamed with Captain America and Hydra attacks the base of the Avengers resistance. 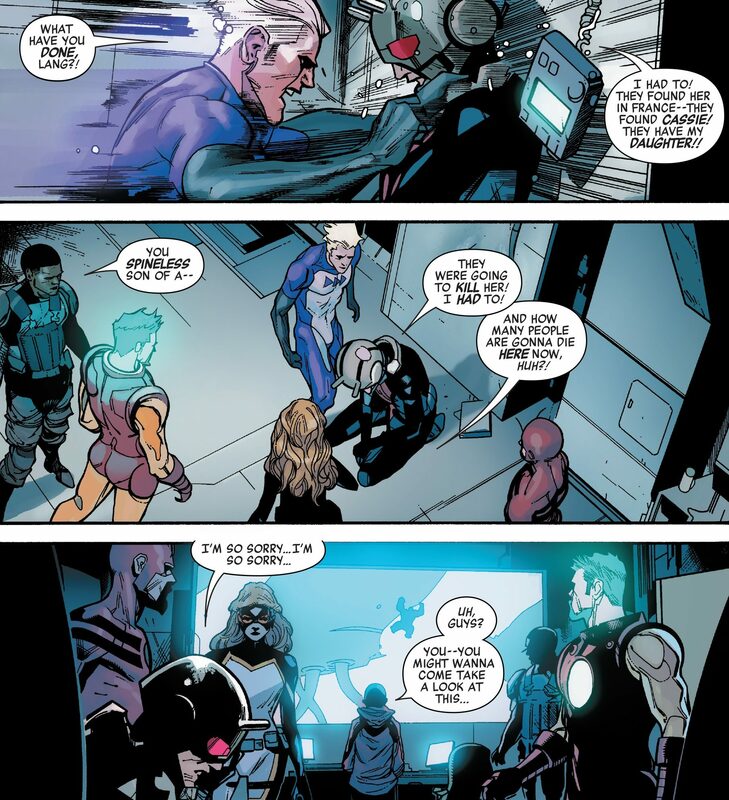 Tony Stark / Iron Man AI believes their defenses will hold, but their bigger problem is the traitor in their midst. Who is secretly working with Captain America and Hydra? 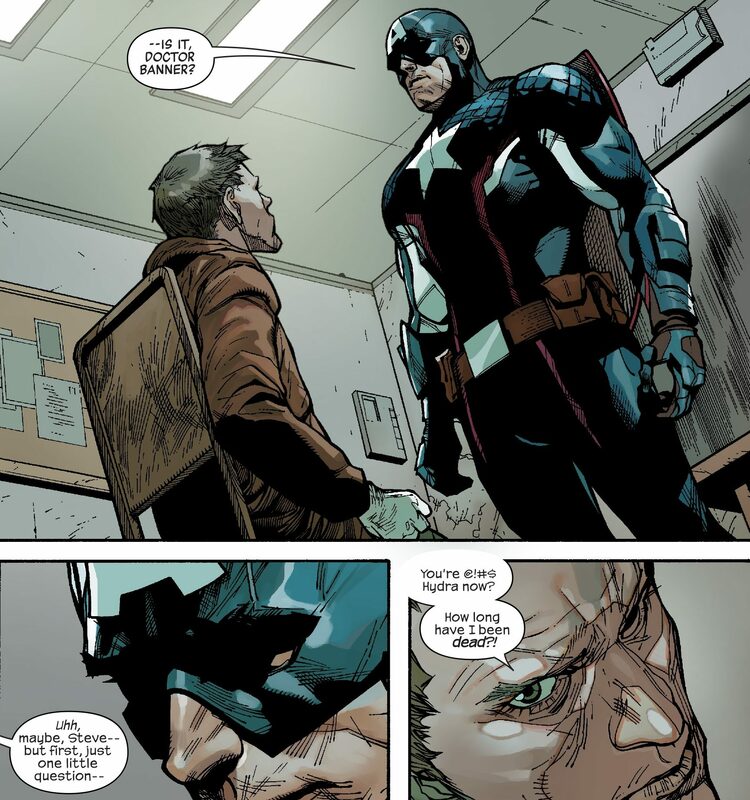 At the same time, Captain America has confronted his prisoner a very much alive and not-Hulk-yet Bruce Banner. Cap appeals to him to join his cause. 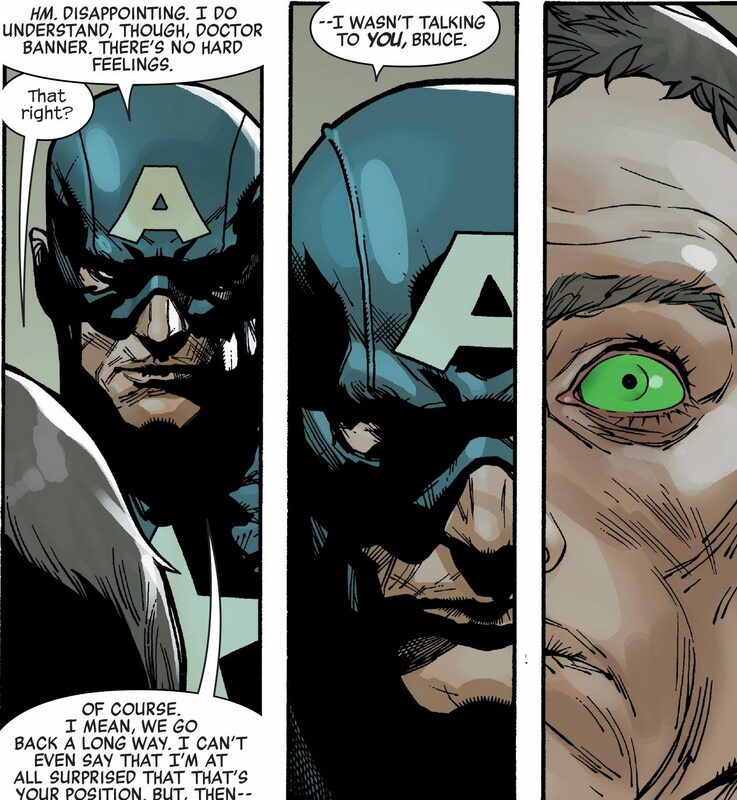 Banner says no, but Cap was talking to Banner’s other self and we get a cool green eye to end the scene. …the Hulk! 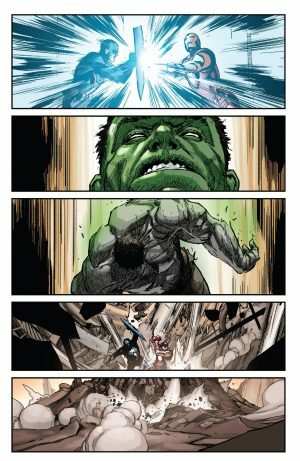 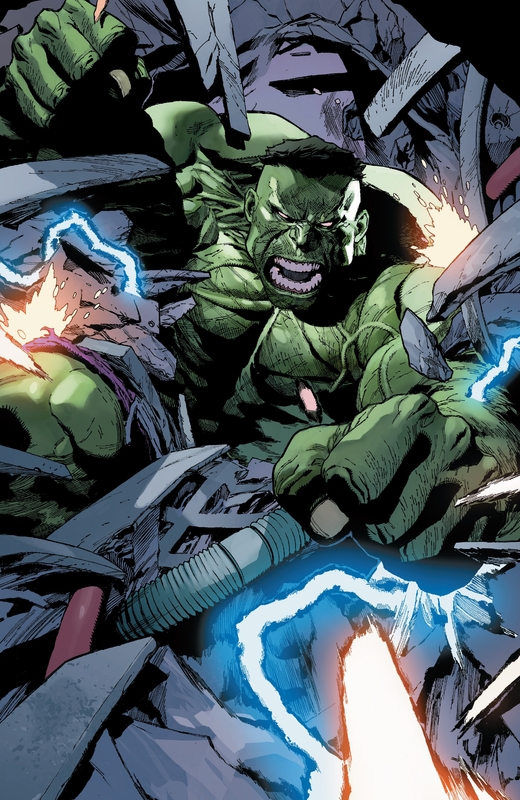 Bruce Banner as the Hulk is back. Banner is on team Avengers resistance, but the Hulk is on team Cap and Hydra? 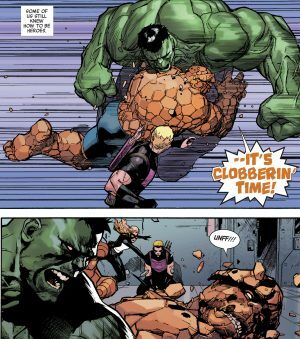 However, Benjamin J. Grimm, the Thing of the MIA Fantastic Four, is on team Avengers resistance and attempts to take down the Hulk; it’s a quick battle that Hulk gets the upper-hand in for now. With fortress Avengers destroyed and the newighboring populace in danger, the Avengers resistance is helping them flee. 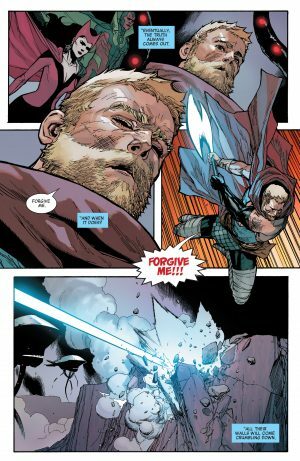 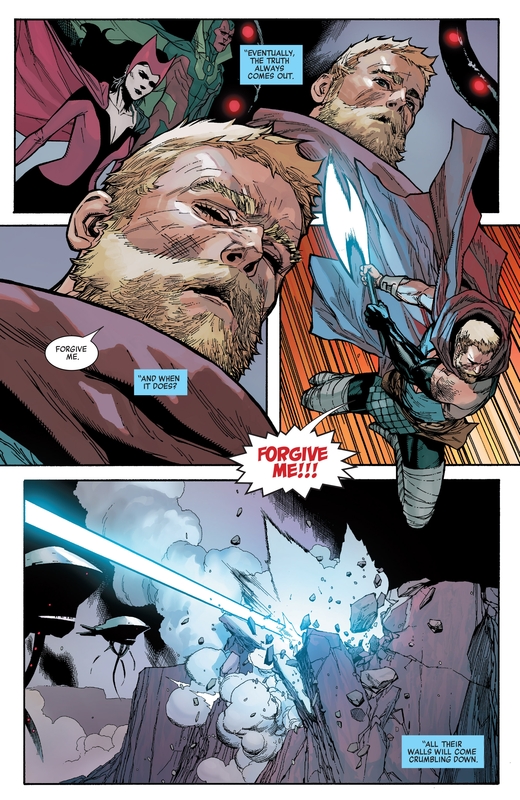 The Unworthy Thor, Odinson, on the side of Hydra decides to let them pass. 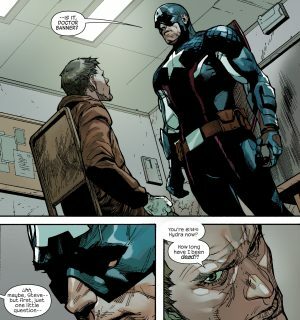 A traitor to Captain America now? 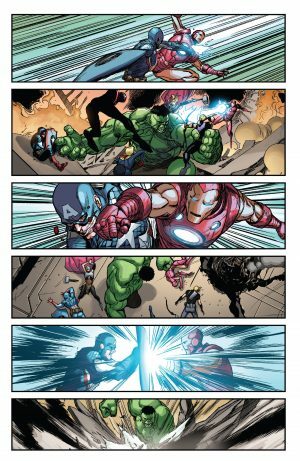 Marvel Comics has said with Marvel Legacy heroes vs. heroes is a trope that will be rested for some time. So, enjoy these two wordless pages of heroes vs. heroes. You won’t see this king of civil war or secret wars from Marvel for a long while. 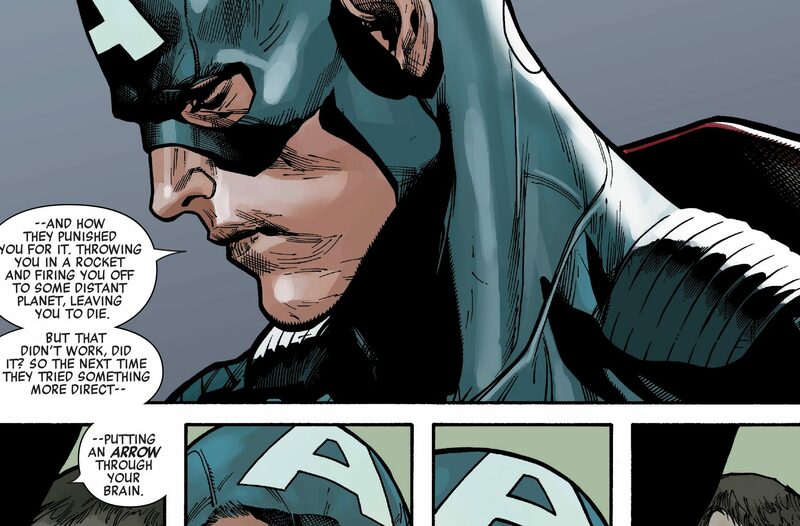 …the Avengers plan to kill Captain America?! 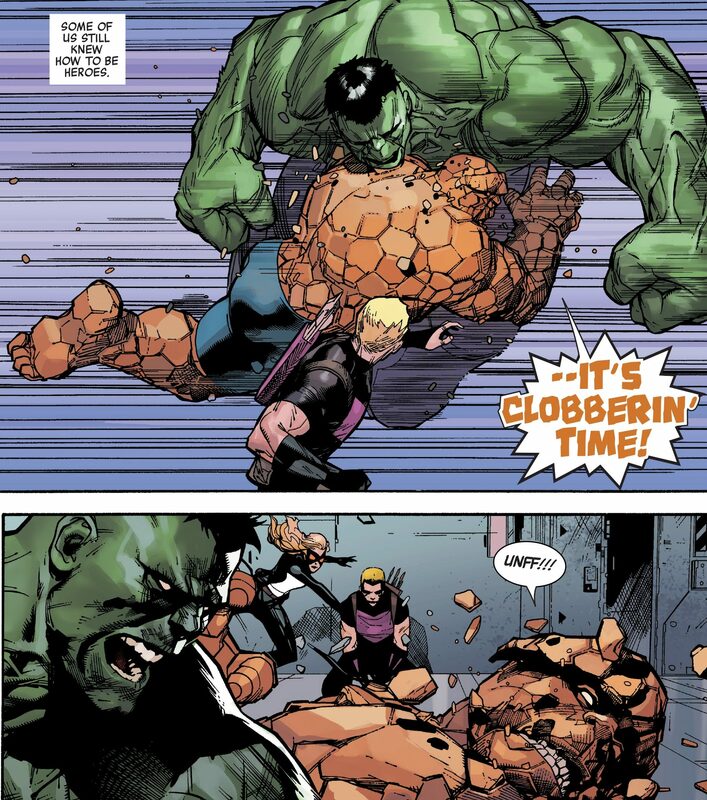 The most action-packed issue to date. 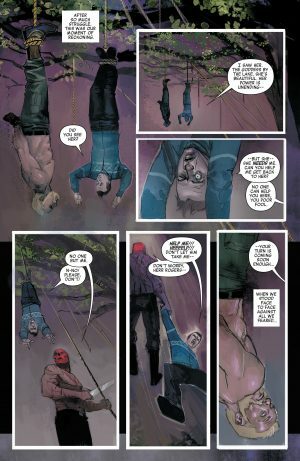 Decent art and fast-paced story. 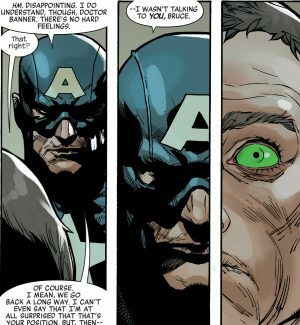 Still can’t get passed the characterization of Captain America or Red Skull in this issue for that matter nor the split allegiances of Hulk vs. Bruce Banner. 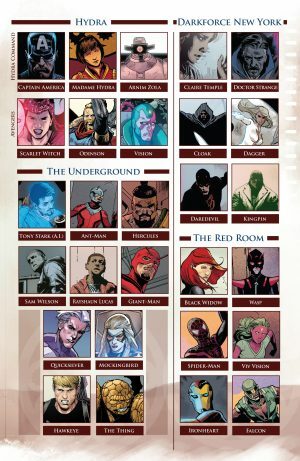 That said, the most entertaining issue of Secret Empire to date. 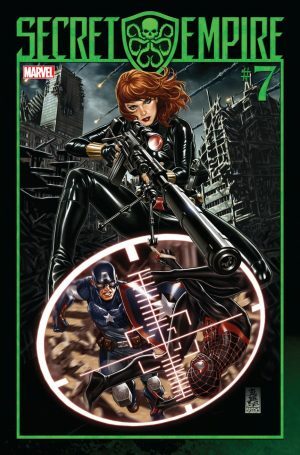 Secret Empire #7 should be interesting as it promises the culmination of the vision from Secret Wars of the Miles Morales Spider-Man seemingly killing Steve Rogers Captain America. 7 out of 10. 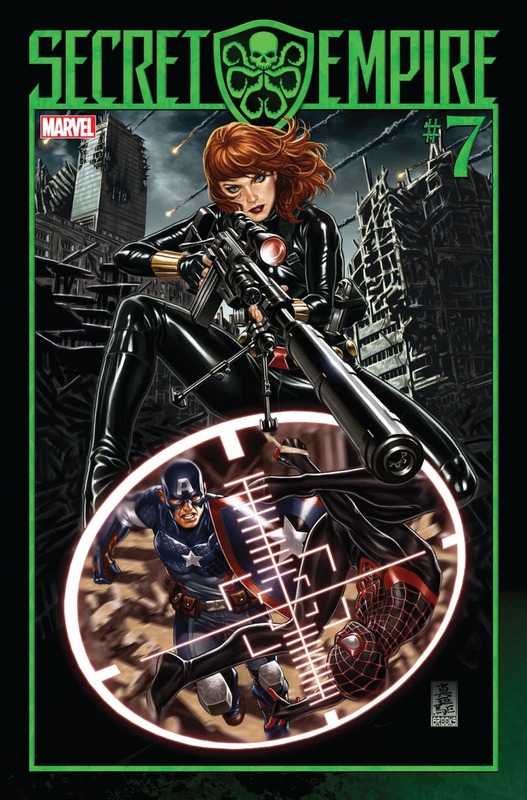 Cover to this week’s Secret Empire #7.